As we see expressions of people power emerge and reemerge globally, it’s important–and hard–to remember that promoting democratic change isn’t like baking a cake. When courageous people take to the streets to press for their governments to be more responsive and democratic, the fates of their movements are not fully within their control. In Thailand, where activists have massed large crowds and escalated demands, the Prime Minister has dissolved parliament and called for snap elections, but this isn’t giving into the demands from the street. Activists assume that allies of the ruling faction will easily win any election, and are pressing for alternatives. But the King and the military have maintained neutrality; meaningful reforms seem quite distant. What activists do will matter, but they’re not alone in this struggle, and opponents and bystanders have a lot of autonomy and consequence. No magic recipe for success. 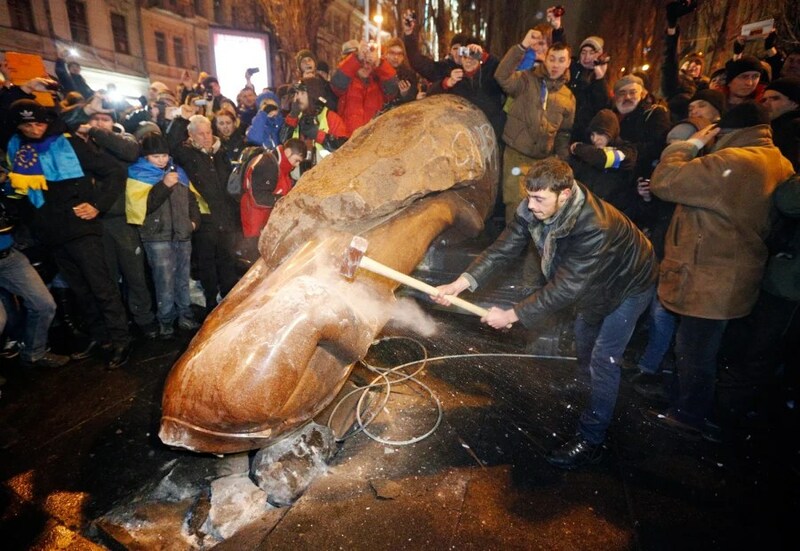 In Ukraine, protesters have also escalated, punctuating massive rallies by pulling down a statue of Vladimir Lenin in Kiev. It’s tempting to think that the dramatic symbolic triumph marks a turning point in real politics. The provocation for protest at the outset was President Viktor Yanukovych’s decision to reject steps toward integration with Europe in order to maintain close ties with Russia. Activists want to turn West rather than East, and now to bring down the government. Kindred efforts in Eastern Europe faltered and failed throughout the cold war in the face of the threat–or actuality–of intervention by the Soviet Union….at least until the very end in 1989. Is Russia as threatening and powerful as the Soviet Union once was? Again, this is mostly beyond the control of Ukrainian activists. Again, the outcomes of their actions, no matter how sincerely motivated or well-considered, are largely beyond their control. Again, no magic recipe for success. Some of those who bravely challenge powerful authorities fool themselves (or are fooled) into thinking their odds of success are better than they actually are. Others steel themselves with the sense of moral righteousness that sustains commitment even in the face of defeats. Maybe most go back and forth. Now think about Nelson Mandela’s twenty-seven years in prison, working on the same plan, largely insulated from useful information about its progress for most of that time. Miscalculation? Faith? Longterm strategic thinking? This entry was posted in Uncategorized and tagged calculation, faith, Lenin, outcomes, parliament, protest, South Africa, statues, Thailand, Ukraine. Bookmark the permalink. 4 Responses to Recipe for Democratic Revolution: What Works? 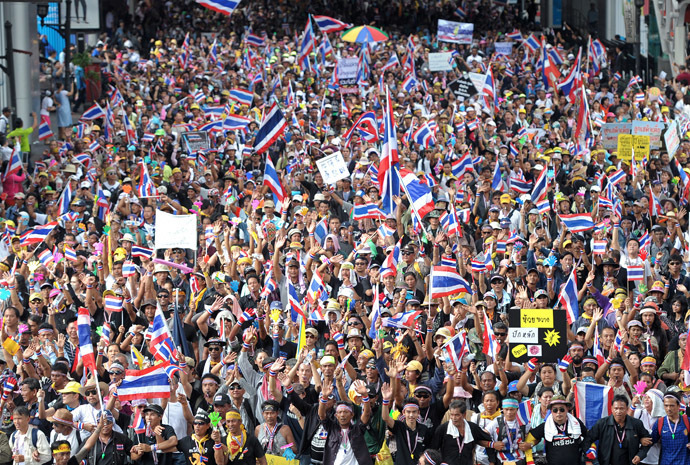 The activists and the mass crowds in Thailand are a worrisome bunch, aren’t they? If misguided, a fight for more freedom could a yield a result that is every bit the opposite of freedom and democracy. You must know more about this than I do. Clifford Bob wrote with the same concerns. Take a look at today’s post. Of course you’re right that there’s not automatic magic recipe for success. But Chenoweth and Stephan’s analysis of their dataset on violent and nonviolent revolutionary outcomes concludes that nonviolent revolutions are much more likely to result in democratic outcomes than violent revolutions. See http://www.ericachenoweth.com/research/wcrw/. I haven’t read this thesis yet, but the author, Joseph Llewellyn, cites several other researchers examining these questions as well: https://ourarchive.otago.ac.nz/handle/10523/5275.